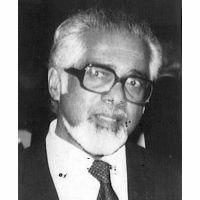 Born in Kuala Lumpur on the 6th of November 1919 to Dr Ramalingam Chelliah and Mrs Thanagaratnam Chelliah, he moved with his parents to Taiping where Dr. Chelliah practiced, and had his early education at King Edward VII School in Taiping. At a young age of 14, while preparing for his Junior Cambridge exams,he lost his father who succumbed to a short illness. Mrs Chelliah’s first task was to prepare Robert to pursue his Law studies in England and at the tender age of 17, he departed by boat for England, to fulfill his father’s desire that he should be a lawyer. At this juncture, no one had any inkling that his studies were to be interrupted by the outbreak of World War II and it would be nearly a decade before he would return home. Chelliah went to Downing College at Cambridge University to read law and in October 1939 .By the end of the first year he had run out of funds but having scored a First in Roman Law, was able to secure a scholarship from the Colonial Office where, and in June 1942, he obtained his BA degree with honours. He had to seek employment but found himself in a peculiar dilemma. Because he was coloured he had great difficulty getting a job for which he had the qualifications as these were exclusively for whites. On the other hand, clerical jobs were available, but these were considered an insult to his Cambridge degree and potential employers were embarrassed to accept him for such posts. It was a Catch-22 situation. Finally he answered an advert by the Board of Trade and insisted that he be given a job. After much deliberation, he was appointed an Officer at the Board of Trade Investigation Branch (Black Market Prosecutions section). In 1947, he was called to the Bar and his success was greeted with a tremendous sense of achievement. Robert Chelliah ‘s admittance to the Honourable Society of Middle Temple marked the beginning of a career that was to span some 40 years. He served as a member of the Executive Committee of Indian Students’ Union until the building was bombed out. Early that year he was elected to serve as a member of the Executive Committee of the International Student Movement House. At Cambridge, Mr Chelliah was President of the Cranworth Law Society .He also captained the Lawn Tennis and Badminton teams and played bridge and squash for the 1 st team as well as rowed for Downing. He played table tennis for Central London and won two silver challenge cups. He first sought pupilage at Drew & Napier but was politely turned down on account of colour .He subsequently accepted the offer by Mr S M Yong who later went become a Federal Court judge. His first cases were mainly criminal in nature. Within a year, he took it upon himself to start his own practice after he turned down an offer to run the Seremban branch office on account of family commitments. He began sharing an office space at No:18 Ampang Street, K.L. where he set up his table and chair, purchased from a second-hand shop. That particular table stayed with him throughout his 40 years of practice and takes pride of place in his office. He took on many leading cases under the emergency laws (now the ISA) which are applied in Court even today. He initiated the Games between the Bench and the Bar which was at first confined to cricket and later expanded to include other games. The interstate Bar Games developed as an off- shoot of the Bench and Bar Games. His other love was horse racing which occupied most of his weekends.. In 1985, he was elected to the Committee of the Selangor Turf Club. This appointment took him to many regional Racing Conferences in Tokyo, Sydney and Paris. He had the privilege of meeting Queen Elizabeth II at his last official engagement in October 1989 when she visited the Selangor Turf Club for the Queen Elizabeth II Commonwealth Cup. In 1956, he completed seven years of practice, entitling him to take on a pupil. During his 40 years of practice, he was pupil master to some 30 lawyers. The pupil of special interest was, of course, David. It was with pride that his firm became known as R R Chelliah Brothers, when David was called to Bar in 1962.It was the first firm of brothers estasblished in Malaya. Due to family commitments, Chelliah turned down several offers of judgeship. His practice was essentially a family practice and over the years three other family members joined the legal fraternity . Chelliah had by this time established himself as a leading criminal lawyer and received much publicity .Among the prominent cases he defended were ” The Sleepwalking Case” in 1950, which prompted Justice Taylor in his summing up to the jury to say ” It is not a defence under any particular section, it is a specific defence on the special facts of this case. The English Law was flexible.” The accused was sentenced to death but it was quashed by the Court of Appeal. The accused was quoted as being the only man in British Criminal history to have escaped the Gallows on the fact that he was asleep while committing the crime. Other cases involved bribery, possession of ammunition, murder, and assault by policemen, criminal breach of trust and cheating. In the Sixties he specialised in Rent Control Tribunal cases and headed the Rent Control Tribunal for some years. He was counsel for Captain Hussein bin Dato’Onn, as he then was, whose application for admission to the Bar was opposed by the Bar Council. He was Chairman of the Bar Council for seven years. During this time the Bar Council was involved in matters which included a move to oppose the ban on Appeals to the Privy Council, proposal for trials by jury for serious cases, the setting up of a free legal aid bureau, better pay, pension for judges, and the setting up of a Commonwealth Court of appeal. He was the defence lawyer in Karthigesu’ s case and later defended Dato Harun Idris, MB of Selangor, which inspired a statement from the then Lord President, Y A Tun Mohamad Suffian during the trial, that Chelliah was the best lawyer in the country . His appointment to quasi-government bodies included Chairmanship of the Industrial Court, Chairman of the Wages Council, Chairman of the Commission of Inquiry of the Film Industry, Judge Advocate General of the Armed Forces, judicial Commissioner and K.L. Municipal Councilor. He was legal adviser to the families of several judges. He was conferred the Johan Setia Mahkota by DYMM Yang DiPertuan Agong in 1972. The highlight of his career lay in his ability to summarise in brief terms a complex set of facts and to analyse judgments in difficult cases so as to extract the relevant principles from them. He served as a mentor for many lawyers who now serve on the Bench. He passed away in 1989 whilst very much in active practice. His passing marked the end of an illustrious career of a self made man spanning 40 years. It was the end of an era.